The House Of Progression have revealed the first of the acts for this the third Celebr8 Festival. 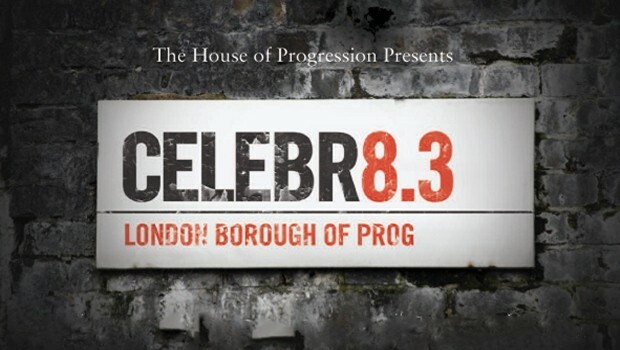 The snappily titled Celebr8.3 will take place at Islington Assembly Rooms, London on Saturday 31st May and Sunday June 1st 2014… Band’s announced so far include The Tangent, Karmakanic, Twelfth Night, Galahad, Cosmograf, The Fierce And The Dead, Sanguine Hum and Thumpermonkey. Andy Tillison will be rejoined by former member Luke Machin, who now fronts Maschine, for The Tangent’s bill-topping show on Saturday, May 31. The lineup also includes Jonas Reingold, Morgan Agren, Lalle Larsson and Goran Edman. Earlier the same day they’ll also appear as Karmakanic, delivering an entirely different performance. In a change to previous formats both days of the festival will kick off with a big-name act. Twelfth Night open the event with a one-off performance, while Galahad play the same role on Sunday, June 1.